We are following like lemmings, throwing good food away. According to Emily Broad Leib of the Harvard Food Law and Policy Clinic, date labels are a leading cause of food waste. 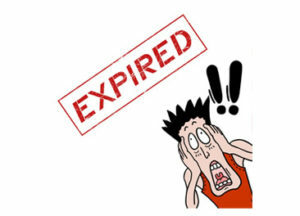 People are confused by date codes, usually assuming they are expiration dates. Ninety percent of consumers throw food away after the date shown. No federal standard exists for date codes. The FDA has chosen not to regulate them because dates are not related to food safety. Some states have stepped in to regulate, but these regulations are inconsistent. Even worse, these regulations can get in the way by restricting the sale or donation of healthy, nutritious food. Food that could be used to feed the hungry is being thrown away because the law requires it. As consumers are usually far removed from the farm, they want some indicator of freshness. Date codes are suggestions by the grower of peak quality. The dates are not linked to science or food safety. These codes come in many forms including: best by, sell by, packed on, enjoy before, use by, and expires on. A Harvard study recommends establishing a uniform dating system for consumers. For quality, the recommended phrase is “freshest before.” For safety, used only when warranted, the recommended phrase is “expires on.” The study also recommends that states allow the sale and donation of post-dated foods. You can start saving money and protecting the environment by eating food that is beyond the date code. We at GoodFarms will continue working with retailers and state governments to implement the study’s recommendations.